Zechariah is sometimes seer, sometimes agitator, and sometimes demagogue, depending on the situation and the number of people around. He prefers to spend his time as a seer, searching into the great unknown and sharing his wisdom with individuals who come asking for it. He has a surprisingly apt knowledge of both magical and godly doings. He's willing to share the information with those who are looking for extra help surviving the deadly Warhammer world. Sometimes his messages are meant for certain people. Those he needs to seek out. This information usually causes more than a little agitation for the intended recipient. Sometimes his wisdom is meant for large crowds. These crowds are often motivated to go out into the larger world and affect a change. It's after these messages that the seer needs to go into hiding, as the rulers of the world do not care for change. Yaalon is a bounty hunter with his eye on the gold. He has, in the past, been a mercenary and a tunnel fighter, but in the end nothing felt more comfortable for him than chasing down a contract. Yaalon will work one-off jobs or a series of jobs for the same client, as long as the pay is good and there's no double-crossing. He probably already has more money than he'll ever spend, considering he's not one to settle down. He's not really in it for the money, though you better not stiff him on payment. He's in it to keep his senses sharp, keep his mind fresh, keep his body strong, and to see the world. Xanthe is the most dangerous spy ever to pose as a barmaid. She was formally trained as a hypnotist in a traveling Gypsy caravan. She found it was a great way to get secrets from people without them knowing. 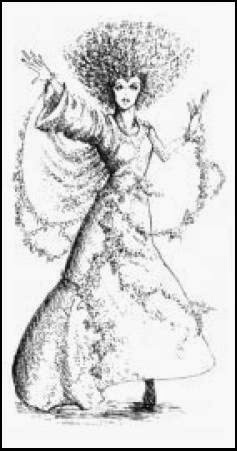 She also found she could sense those who could use magic. She used this information in her next career. As a charlatan, she ingratiated herself with those who used magic AND those who despised magic users. Many "cleansings" by fervent Sigmarites owe Xanthe for her inside information. As a spy she runs one of the largest information networks in Nuln. And she does it all while under cover as a barmaid in the Mad Goat tavern. I really like the idea of using wights in my Warhammer Fantasy Roleplay game. They are not quite an overused undead trope, though there are similar wraiths in the Lord of the Rings. It is nice to have the intermediate power between skeletons/zombie and vampires when dealing with the undead. Wights are tied to the place where they are buried. The are ethereal, moving through solid objects at will. Their touch drains strength instead of causing wounds. Luckily, the strength can be regained after a full day of rest, 1 day per 1 point. I like being able to fade in and out of corporeal-ity(?). I also like draining renewable strength points instead of doing wound damage, though a character can die if all their strength is taken. I like the ghost vibe, with the military trappings. I'm sure there are a lot of vampires on V day during the April A-Z blog challenge. Actually, Tim over on The Other Side blog has spent his entire month on vampires. I, on the other hand, do not use vampires as much as I probably should in my Warhammer Fantasy Roleplay game. I really like the idea of undead, but they seem like such an overused idea in fantasy roleplaying games. I'm sure everyone's sick of vampires by now. Is anybody scared of mummies? Zombies are all the hottest rage. These days I think I would much rather use skeletons than zombies. Then there's ethereal undead. I really need to use more wights and wraiths. A few ghosts here and there would be nice, too. Or maybe spectres. 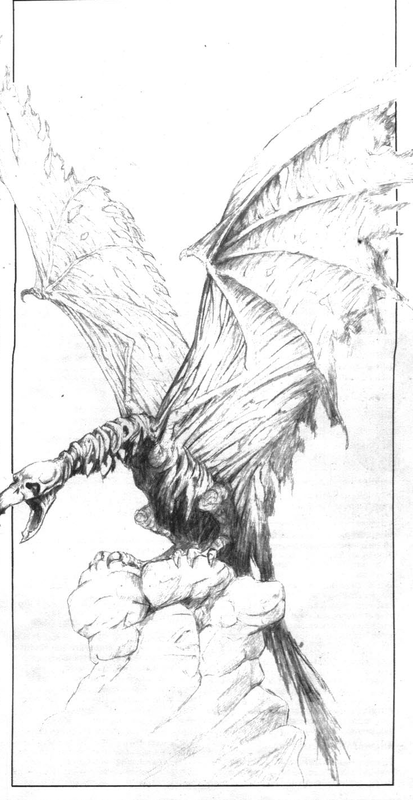 The coolest undead creature from Warhammer Fantasy Roleplay that I'm sure I've underused may be the Carrion. A giant undead bird. How cool is that? I've never taken the opportunity to use a treeman in my game. They are good-aligned, solitary creatures who try to avoid contact with other races. I guess I've done a good job in my game keeping them secretive and creatures of legend. I'm pretty sure I've played against a treeman in BloodBowl. Fortunately, it's one of the creatures that might not even go on its turn. They can throw others, though, so you have to keep a good defensive backfield just in case. 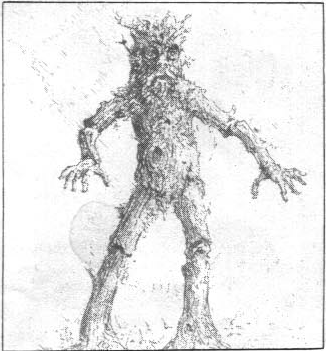 There are many cool or often-used creatures in the WFRP bestiary that begin with the letter S. I've been eschewing the popular creatures, though, in favor of those I never, or hardly ever, use. In comes the sunworm. A sunworm is a large, oily maggot that sits in the sun all day storing up photoelectric energy. The worm uses this energy as its own primary fuel source. And, it reflexively uses this energy to shock any creature that comes within a foot of them. It can discharge one shock for every foot of growth. They can be up to 6 feet long. The only other interesting thing about the creature is that metal armor doubles the damage, while leather armor halves the damage. The posts about Chaos seem to be the most popular. I'll have to remember that for the future. 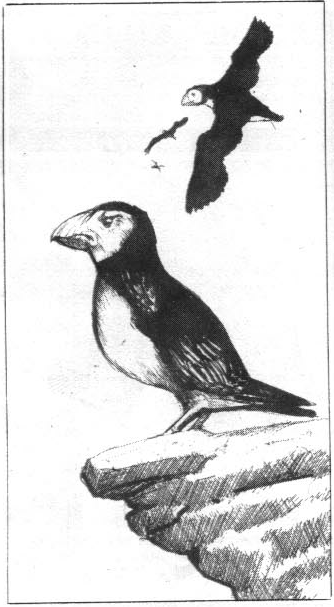 There's not too much said about the razorbill in the bestiary, and I've never used the "creature" in my game. It looks like some filler for those who might be adventuring along the coastal shores (which is a good idea). Apparently these suckers can take apart a creature as big as a horse. You wouldn't want to meet a flock of hungry razorbills as you near the coast after a long voyage. They attack as a pack, and you can expect to have 4D6 of the birds on you at a time. Beyond the Worlds Edge Mountains live an offshoot of this proud race who have thrown themselves whole-heartedly into the service of evil. Normally the only visible signs of corruption are long tusks protruding from their cruel mouths but, on rare occasions, a Chaos Dwarf develops bull-like mutations -- horns, tails, and cloven hooves. Qiana is one such "bull centaur" as they are called. She is a force to be reckoned with in the ever-present battle against greenskins. With an axe and a shield, she can force her way through any goblin battle line, breaking foe beneath hand weapon and hoof. We arrived at the quaint house of the hermit hedge wizard. He was less than welcoming. Thorny bushes erupted from the ground, lacerating the horses and Vaervenshyael's legs. Through the chaos, someone noticed the pack horse of Pieter, a miner and well-known contact from Padua. He came to the door, recognized us, and was able to talk the wizard down from his attacks. Pieter was here consulting with the wizard Lucas on his recent ore find. Lucas had maps to help Pieter orient his prospect, far to the west in Sulzer's territory. 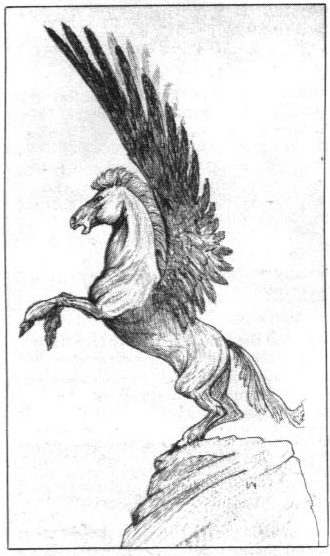 The pegasus always seemed a little high-fantasy for my WFRP. I suppose they make for great flying mounts, however there are other cooler ones to contend with. For the men of the Empire, there are griffins. For the elves of Ulthuan, there are dragons. Maybe a pegasus could be a "poor man's" flying steed. It would make sense for a pegasus to be the steed of a character of more humble origins. I guess that answers how, if ever, I work these creatures into my game. Most of the other creatures in my bestiary A-Z run have been infrequently used. The ogre, on the other hand, is becoming very frequently used in my games. It doesn't take too long for characters to stop fearing an orc or two. If a character has a couple pieces of armor and Dodge Blow, an orc fight probably won't last too long. Ogres step up the challenge for those who like to attack instead of parlay. Ogres are strong, tough, and have a lot more wounds that your generic greenskin adversary. Ogre have interesting conversation styles, calling characters "slim," translating to "insignificantly small person." Ogres feature prominently in the Doomstones campaign. There's a very interesting Black Library book (Wild Kingdoms) about ogre lands to the east of the World's Edge Mountains. Lastly, my halfling vampire hunter had an ogre bodyguard in a second edition online game I'm in. I have run The Oldenhaller Contract many times, usually at gaming conventions. It's amazing how different groups run through the same adventure. One thing that's not usually different, however, is how easily the group overcomes the last encounter: Nurgle cultists and the Beast of Nurgle. The Beast of Nurgle is a 5 foot tall snail-like creature with suckers instead of a head. It also has a whip-like tail. It oozes a putrid slime behind it that can cause the rot. 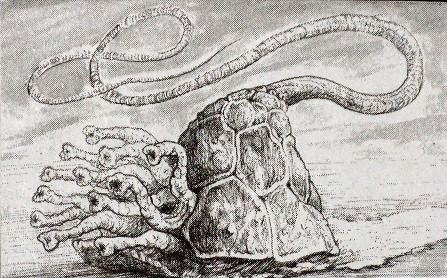 The suckers are said to be "immensely powerful," however, and here's where things start to fall apart, the creature only has a strength of 3...which is the strength of the average character. What the beast does have going for it is that damage from the suckers ignores armor. Also, each sucker may cause paralyzation if the character fails a poison test. The whip-like tail is for lassoing paralyzed victims. The Mardagg is call the Death Elemental, though it's not an elemental at all. It is a daemon that serves Khorne. It comes to do one thing and one thing only: kill. 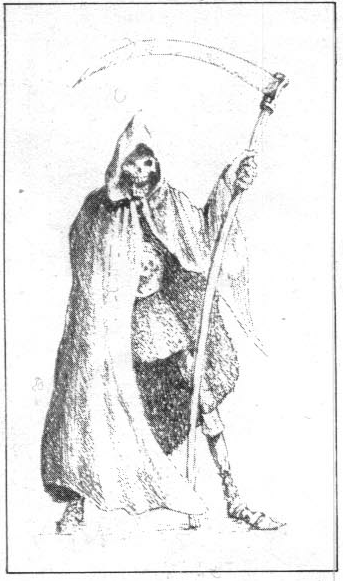 It is dressed in a way we usually associate with Death: 10 feet tall, chain mail, carrying a huge scythe. It causes terror in all living creatures. Everyone fears death. The Mardagg negates all magic and destroys all undead within ten yards. It is immune to non-magic attacks, and its attack hurts anything. It can be killed by a warrior using a magical weapon, but I don't think you want to be the one to try. Luckily, whenever a Mardagg is summoned, there is a 10% chance that a Viydagg will be sent to destroy it. In that case, you just sit back (way, way back) and watch. There is no telling when the lash of a lashworm will strike out at you. There's really no sense in trying to avoid it. "These are carefully disguised by the creature so as to be virtually invisible to all but the closest inspections -- and even then, only the sensitive, hairlike trigger is normally visible." "The trigger hairs can sense movement, such as a creature passing the Lashworm's hole, within 5 yards." These small carnivorous creatures live in fissures--walls, stones, trees, you name it--and lash out at you with 5 yard 'tongues.' Seriously, you essentially can't see them coming. How carefully can you inspect for something that lashes out at you from 5 yards? And, as the GM's option, it is possible that only people with Identify Plant even know what to look for. "Lashworms always cause surprise and always attack first, even if their victims are aware of their presence." Kaarina Kiselyov is a kossar from Kislev (I didn't start out meaning to use that many K's). She is proficient in drinking, cursing, and killing. Many of her comrades (komrades?) are conspicuous killers, but Kaarina is more of a tracker and assassin, mostly because her white hair makes her difficult to see in a snowy expanse. Her eyes are hard and her strikes are sure. Kaarina can usually be found in the company of a band of mercenaries, but if something were to happen to the rest of the group, she would be looking for employment. The party could not be dissuaded from the northeast river crossing, not by the threat of Sulzer or the threat of greenskins. Neither did the actuality of wolf tracks on the ground and carrion birds circling up ahead. The party was met on a rise near the crossing by a captain of Sulzer's army and a tale of recent greenskin attacks. The creatures had come from the north. The men had barely held off the attack, but they feared the greenskins would return soon. Our party was mistaken for reinforcements from Lauterburg. We took to the role for a chance to get across the river. 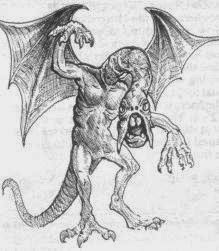 The jabberwock is advertised as a barely distinguishable race of chaos creatures. They are "very brave, very aggressive but rather stupid." They have a very high weapon skill, are stronger and tougher than an ogre, and have a whole lot of wound points. They are very deadly as listed, causing fear, terror, with a venomous bite, and are able to regenerate. I expect the group would rather meet a giant. Prince Imrik is the current high prince of Caledor. He has a dragon mount and has the ability to awaken slumbering dragons for the fight to save the end of the world. If I'm not mixing what I've read in the novels, he also has attempted to rekindle tenuous relationships he had with dwarves since before the War of Betrayal/War of the Beard. His mastery of dragons and connection to the dwarves adds more complex layers to one's home game. There can always be something at work in the background with this high ranking High Elf directly in the middle of it. 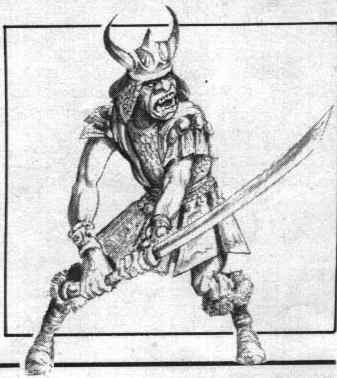 A Warhammer Fantasy Roleplay hobgoblin is similar to its D&D cousin. They are both an intermediate step between a goblin and an orc. 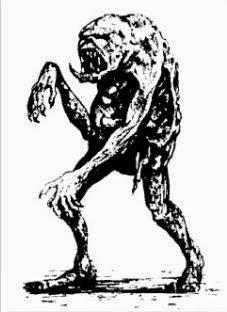 In the WFRP bestiary, their stats are almost similar to an orc. The creature seems unfortunately redundant, considering how prevalent orcs are in the Warhammer world. Again, I have no stories of using a hobgoblin in my games. This series is almost a series of "infrequently used creatures from the WFRP bestiary." I think the picture from the book makes them look slightly oriental in flavor. What do you think? From my point of view, gnomes don't have much of a place in Warhammer Fantasy Roleplay. 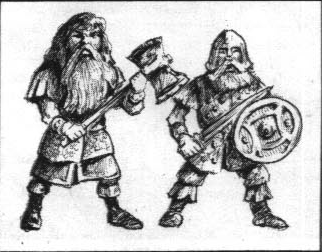 They are not a player character race, and the bestiary lists them as pretty much redundant to dwarves. In a world where even the fittest have trouble surviving, I don't see gnomes lasting long. The bestiary listing does say their "numbers are few and declining all the time," (which is the same way dwarves are portrayed, actually). It also places gnomes on the Isle of Albion. That might be where I'd leave them for my home game. I don't foresee using them on the western side of the World's Edge Mountains as the book suggests. The dwarves are lucky to hold that area as it is. Fen worms are large snake-like creatures, twenty to thirty feet long. They live in marsh, mud, or bogs. They bite at one creature, and can try to crush up to three more around it each turn. Unfortunately I wasn't able to find a picture of one, and the book does not have a picture either. They remind me of purple worms in D&D. The book really doesn't give a GM much to work with, so I'd love to hear about how other GMs have used them in their games. So far, between this and the Bog Octopus, swamps can be a pretty nasty place. Elder Abednego is a high priest of Solkan, the "Avenger" god of law. In his role, the Elder had been given almost elementalist-like control over fire. Solkan allows the Elder to purge his enemies with flame. A benefit of this power is that Elder Abednego is able to walk through flames unharmed. This NPC has never been in my games before now, but I did have a friend who played an initiate of Solkan. I don't believe his character made it to Priest Level 1, but I do know he was obsessed with getting a flaming sword. This NPC is on his behalf. The conversation around the campfire satisfies each of you. Hechland spoke of new inventions. Tankred spoke of finding metal to work in defense of the town. The Doctor spoke of seeking dragons. Only Van Duster did not chime in; his grunts from from shadow (just on the edge of the firelight) acknowledged Tankred and let everyone know he was paying attention. The destination was barely spoken of; most of the party just decided to follow Vaervenshyael because maybe where she was going was more exciting than another night in Padua. Meet Mabrothrax. He likes long walks through fiery infernos and stealing peoples' souls. Just kidding. In the Warhammer universe, he's a servant of Nurgle, the Lord of Corruption. The daemon spreads disease and pestilence. He's not a guy you want to meet in a dark alley. Mabrothrax can attack 10 times a round (the most I've seen in Warhammer) and has 100% chance of causing infected wounds, Nurgle's Rot, or the Black Plague. Other than a Mardagg or Viydagg, this is the toughest creatures I've seen in the first edition of Warhammer Fantasy Roleplay. A carnivorous snapper is a lizard creature left over from times of old. It walks on hind legs, and attacks with a bite or a tail. It sounds like a Jurassic Park raptor. 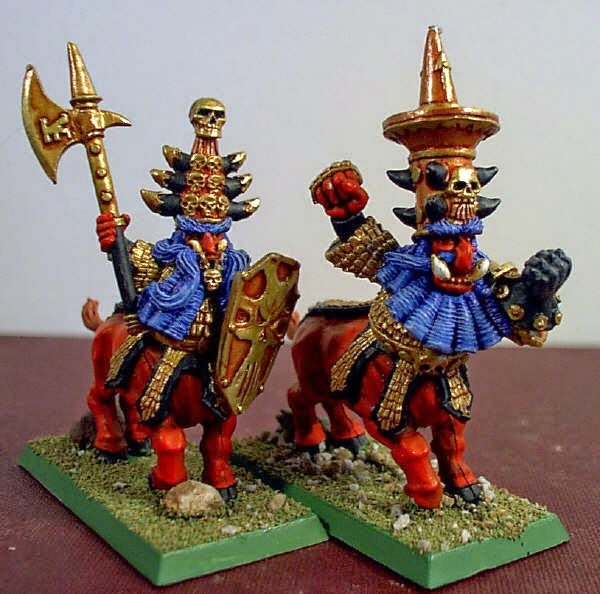 I have not taken the opportunity to add one of these creatures to my Warhammer game. I think part of the problem, back in the day, was lack of a picture in the rule book to really show what the creature looked it. With a little time to read the description more in depth and mull on it a bit, I'm sticking with raptor. I should have opportunity to use the creature in my Dwimmermount game set in Lustria. The wheels are turning right now regarding carnivorous snappers and the ruins at Oyxl. The bog octopus was a creature I was not familiar with, coming from D&D as I did. I found it intriguing earlier in my Warhammer gaming experience, but I never got around to using it. I just didn't set that many of my adventures near bogs. Ten years or so ago, I ran my gaming group through The Dying of the Light. This published adventure contained a bog octopus, and relatively early on in the adventure. It was fun to reach through shack windows and roof to attack the PCs with muscular octopus arms. "Their entire lives are spent squelching menacingly around in stinking mud and quagmires, surfacing occasionally to drag down and eat some passing creature." Here's to many more menacing squelches! "Sometimes mistakenly called the Life Elemental, the Viydagg is a Greater Demon of Law, and is concerned with the laws of life and nature." "The Viydagg causes fear in all living creatures under 10 feet tall. It causes terror in Chaotic or Evil Demons." 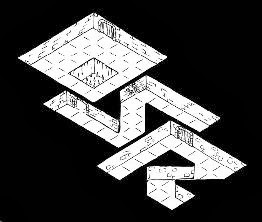 I've never used demons enough in my games to warrant the Viydagg making an appearance. I am extremely curious to know if anyone reading has thrust one into their game.